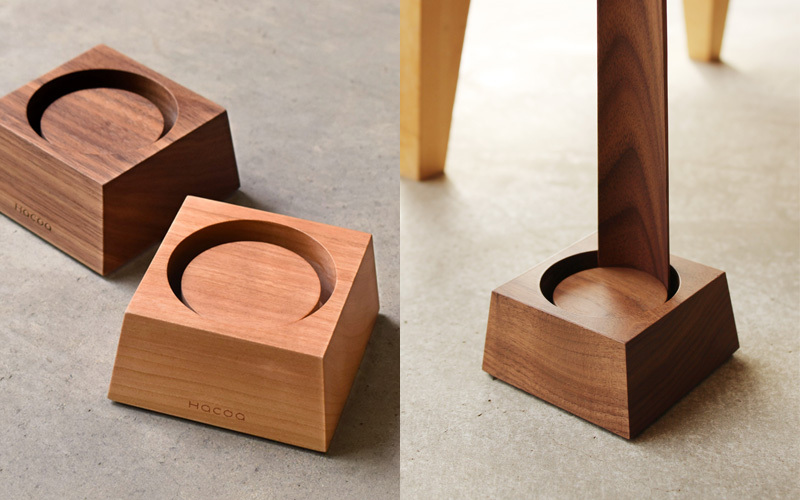 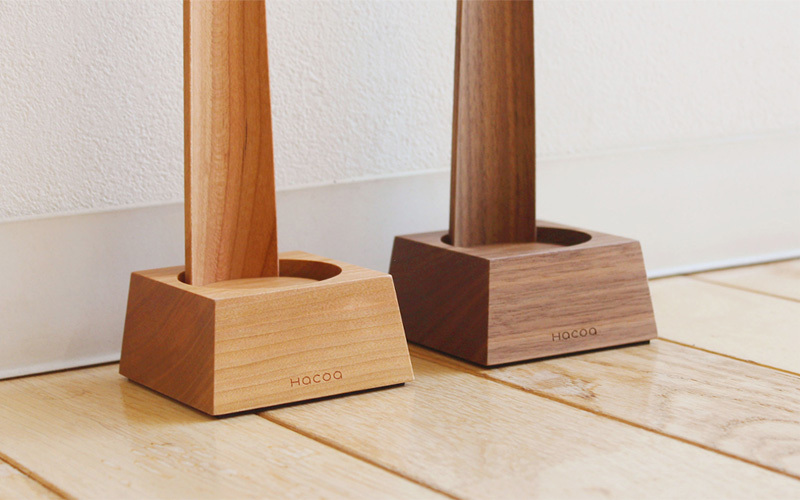 This stand is designed to keep our wooden shoehorn in place without being misplaced. 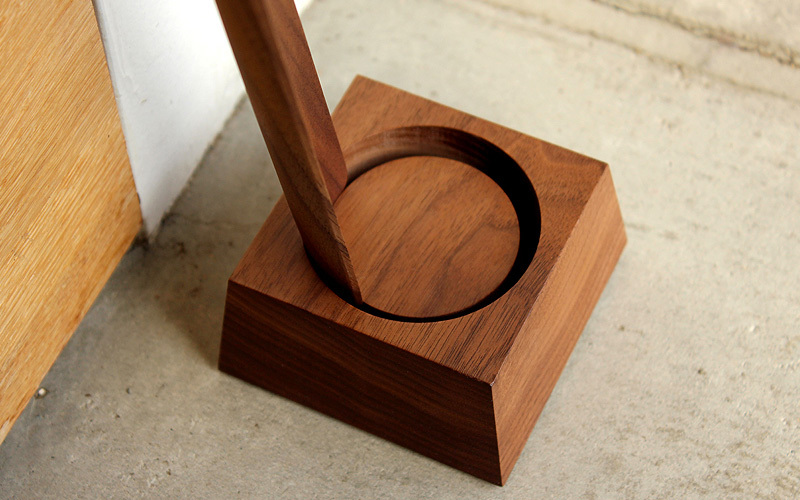 Circular groove on the chunk of solid wood holds the crescent-shaped tip of shoehorn you casually insert to fit. 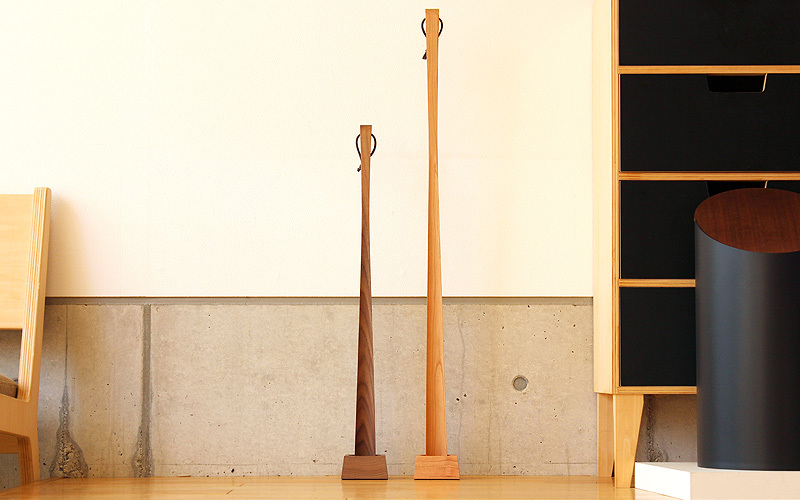 With weighted bottom, stable stand take up any space and have shoehorn kept straight up and ready.